Last month we looked at former Blue Devils’ movement in NBA free agency and Dukies that were just starting their first NBA season. With the NBA season well underway and the current Blue Devils taking a few days off between their matchup against Georgia Tech and their ACC home opener against Virginia, let’s examine how our former Blue Devils in the pros are faring so far. We have to start with Kyrie Irving, who was the top overall pick in last year’s NBA draft by the Cleveland Cavaliers and has started off his rookie year on the right foot. Irving has started all eight games for the Cavs, who sit at 4-4, and is averaging 15.0 points and 5.1 assists per game. His breakout performance thus far was on January 3 against Charlotte, when he scored 20 points on 8-of-10 from the floor and dished out six assists in just 22 minutes. Kyrie has produced for Cleveland thus far, but is taking 12.9 shots per game and is only shooting 43.7% from the floor. He’d like to see that figure increase, but I don’t think anyone would call this a subpar start for a rookie point guard that couldn’t spend the offseason with his team due to the lockout. The Cavaliers are impressed with Irving’s progress, commending him for his leadership qualities, which is not something a rookie typically exhibits in the early going. They expect him to continue to grow into an extremely productive NBA player. 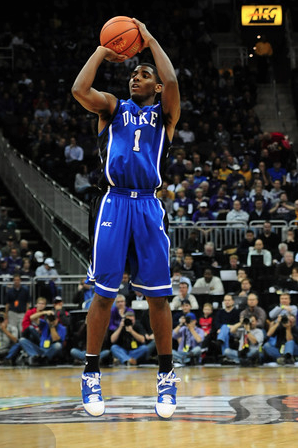 Duke’s other NBA rookie this season, Nolan Smith, has played limited minutes for the Portland Trail Blazers. Smith has appeared in four of Portland’s eight games this season, averaging 6.5 minutes and 3.8 points per game. Nolan made his presence felt last Friday night in a blowout loss to the Phoenix Suns, logging 14 minutes and scoring six points and adding three assists. Despite the early retirement of Brandon Roy, Smith is at a disadvantage due to the Trail Blazer’s deep and talented guard rotation. Most of the backcourt minutes are split between Wesley Matthews, Jamal Crawford, and Raymond Felton, all of whom are established NBA guards. 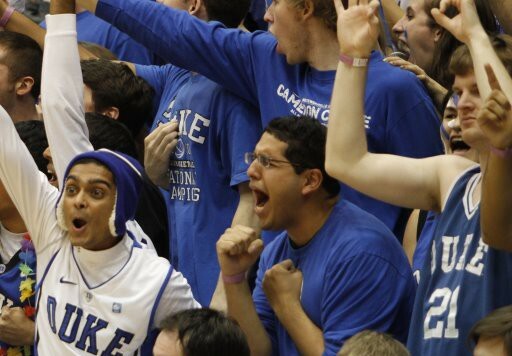 This leaves Smith and fellow former Blue Devil Elliot Williamson the outside looking in at times. 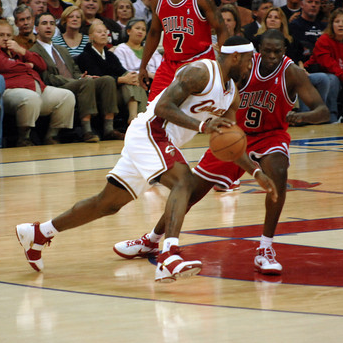 Luol Deng has continued to be a consistent weapon for the Chicago Bulls. The Bulls are off to an 8-2 start and are arguably the best team in the NBA. Deng is putting up his usual stellar numbers– 15.2 points and 6.4 rebounds per game on a team with a lot of weapons. He has also been huge on the defensive end for Chicago, and consistently has to match up with the best offensive threats in the NBA. Just today Yahoo Sports published an article proclaiming Deng as “the most underrated player in the NBA“. Deng hopes to make his first All-Star team this season, but would surely settle for an NBA championship ring with the Bulls. Deng’s Bulls teammate, Carlos Boozer is another reason for Chicago’s success in the early going. Boozer has put up a very respectable 14.0 points and 8.3 rebounds this season– not bad for a player that many thought would be a victim of Chicago’s amnesty clause this offseason. He has proved to be a reliable inside threat this year, scoring double digits in all but one of Chicago’s game. His best performance of the year came last Friday, when Boozer posted 20 points and 13 rebounds in a Bulls victory over the Orlando Magic. Speaking of the Orlando Magic, JJ Redick has appeared in all nine of Orlando’s games this year, scoring 11.1 points per game. He continues to develop a more versatile game, as he has actually struggled a bit from beyond the arc this season. 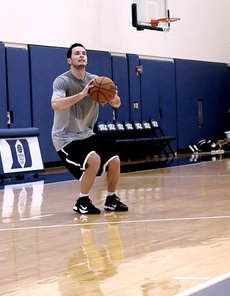 Redick is shooting just 35.7% from 3-point range on the year, down from 39.7% in 2010-2011. He has still asserted himself off the bench as a threat to score in bunches, however. Redick had 21 points in Orlando’s victory over the Toronto Raptors on New Year’s Day and 20 points in a Magic win over the Rockets on December 26. Redick often teams up in the backcourt with his former Duke backcourt teammate Chris Duhon, who is Orlando’s backup point guard. Duhon is averaging 3.7 points and 3.0 assists per game in 19.4 minutes per game this year. Another pair of Duke teammates are producing for the Charlotte Bobcats this year. Gerald Henderson has stepped up his game thus far, averaging 14.1 points, 5.5 rebounds, and 1.8 steals per game. Meanwhile, Corey Maggettehas been effective as well, posting 12.2 points and 6.5 rebounds per game. The Bobcats have struggled on the year with a record of just 2-7. Maggette was also recently injured, and will miss the next 2-4 weeks with a strained hamstring. Shane Battier was considered one of the top prizes of the NBA’s free agent frenzy. He found a new home this offseason with the Miami Heat and is playing a more limited role in South Beach than he is used to. Shane is playing a career-low 21.3 minutes per game for Miami and is mainly used as a defensive stopper. He is averaging just four points per game and has made just one start for the Heat this season. Clearly there’s not much pressure for him to score with guys named LeBron James, Dwyane Wade, and Chris Bosh on his team. Elton Brand is making the most of his minutes with the upstart Philadelphia 76ers. Though his time on the court has decreased due to the amount of young talent around him, Brand has helped the Sixers to a 6-2 start, their best in quite some time. Elton has played 27.6 minutes per game for Philadelphia this season, which is the least he has played in his entire career. He has contributed 8.4 points and 7.4 rebounds per game this year and still has some moves down in the post, but you can tell his history of injuries is really starting to catch up with him. Brand has just one double-double this season, coming on January 4 in a Sixers win over New Orleans when he scored 12 points and added 12 rebounds. Grant Hill decided to return for a 17th NBA season with the Phoenix Suns, and although he too is playing a more limited role, his age doesn’t seem to be slowing him down too much. Hill has played 26.4 minutes per game for the Suns this year but has started every game for Phoenix. He is posting 9.8 points per game on the year, but it is safe to say Hill’s glory days are behind him as well. With the amount of time he has missed in his career due to injury, some are quite surprised that he is still able to play at age 39. The landlord now resides in New Jersey, as Shelden Williams has been tearing down boards for the Nets this season. Williams, who is playing for his seventh NBA team in just his ninth year in the league, has made two starts for New Jersey this season, averaging 4.7 points and 5.0 rebounds per game. His best performance came in a 101-90 loss to the Miami Heat last Saturday in which Shelden scored eight points and pulled down 13 rebounds in 31 minutes of action. He did have some struggles in a recent game against the Indiana Pacers, where he went 1-for-9 from the field and dunked on himself. I think I’ll leave you at that.